Allegra Boverman/Gloucester Daily Times. Rockport Middle School eighth graders spent two days this week doing research at the Millbrook Meadow Dam, Mill Pond, its stream and the Front Beach area in Rockport with NOAA scientists. 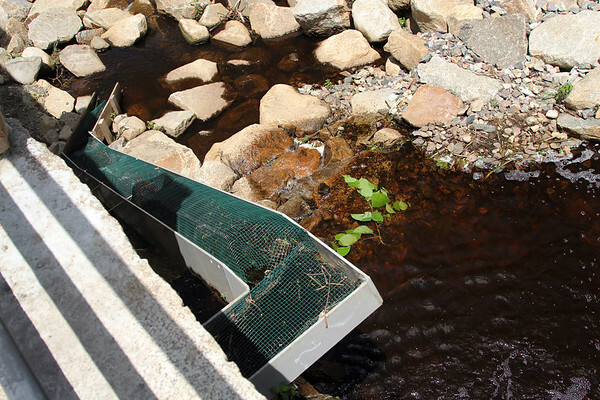 This is the new eel ladder meant for American eels to be able to come into and out of the area.